A quiet town of nearly 35,000, Carmel is home to the hamlets of Carmel (the Putnam County seat), Mahopac, and Mahopac Falls. 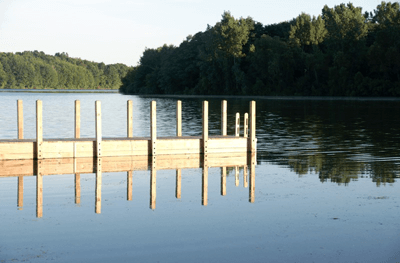 It’s a sleepy community with multiple picturesque water settings including the popular Lake Mahopac and Lake Gleneida, which is well-known to many area fishermen. The Carmel real estate market is quite varied. Above $1 million, you’ll see lakefront homes with fabulous views and stunning settings. Homes may be from the first third of the 20th century, but typically have been well-cared for. Residences are private, and may be in gated communities, with established landscaping and multiple outdoor entertainment areas. Most include dock, boat house, gazebo, private swimming area, and plenty of parking. Square footage generally ranges from 2,500 to 4,500, encompassing 2-4 bedrooms and up to 6 baths. Just above $500,000 and up in Carmel, you can expect to find a variety of homes for sale, the vintage anywhere from the end of the 20th century to new construction going on in developments such as Random Ridge. Several of these homes at this price point are situated on expansive lots, many with deck or outdoor living space. You might find kitchens with upgrades such as stainless steel appliances, granite counter tops and hardwood flooring. Other features may include fireplace, walk-in closets, carpet, custom finishes and multi-car garages. In communities like Pennebrook Estates and Orchard Hill Farms, you might expect up to five bedrooms and at least two baths. These homes are quite spacious, generally ranging from 2,245 to over 5,700 square feet. There are opportunities beginning in the $200,000’s for first-time homeowners, investment property, or potential flippers. Certainly up to the $500,000 mark, there are many lovely homes available in neighborhoods like Maple Hill Estates, Lake Baldwin, and Eagle Hill. Homes run the gamut from mid-20th century to the 2,000’s and have a wide range of square footage from around 1,100, soaring to 3,000 square feet. These homes can have up to five bedrooms and as many as four baths. There are also plenty of condos for sale on the market in Carmel. Communities like The Retreat at Carmel, Springside Commons, and Stoneleigh Woods have units that have 1-3 bedrooms and up to 4 baths, covering 840 to a spacious 2,700 square feet. Many have desirable features such as foyer entry, recessed lighting, island and granite kitchens, crown molding, fireplace, sliders, and large closets. Select homes have multiple levels, which may include basement space. Some have amenities like clubhouse, rec room, pool, and fitness center. Land packages may be available for a custom build, whether that be residential or commercial. Lot sizes range from .03 to 11+ acres and include lakefront, residential lots, and commercial property with road frontage. Established commercial property will often be available starting around $265,000 upwards to $950,000. Retail space can start under 1,000 and listings have been available for commercial property with nearly 7,500 square feet of space. The Town of Carmel operates ten community parks including Sycamore Bark Park and Michael Geary Memorial Roller Hockey Rink. Additional facilities are available for tennis, walking trails, a skate park, picnic areas, and football, baseball, and soccer fields. Aside from its natural beauty, Carmel is an ideal location for commuters. Several routes are easily accessible for the ride into the city including Interstates 84 and 684 as well as Routes 6, 301, 52, and 36. The Metro-North also has a train station in nearby Brewster. Students in Carmel attend one of three elementary schools, the middle school, or Carmel High School as part of the Carmel Central School District.